It's time for another challenge over the The Card Concept! 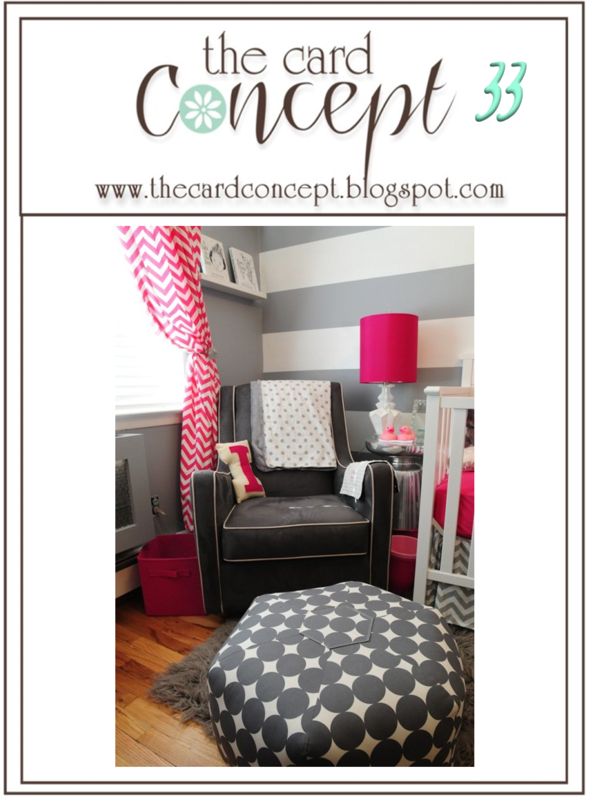 I was so inspired by this graphic I loved the bold greys and pinks, the stripes, the circles and the chevrons and the lamp. I ended up not using the chevrons to keep my design Clean & Simple. Now looking at my card you could almost call it Clean & Graphic--the circles that make up the light stand and the funky graphic on the lamp shade. Do you stick to one style of card making? or does your design sometimes wander? Food for thought. Hope to see you over at the Card Concept this challenge! Love love love love that lamp!! 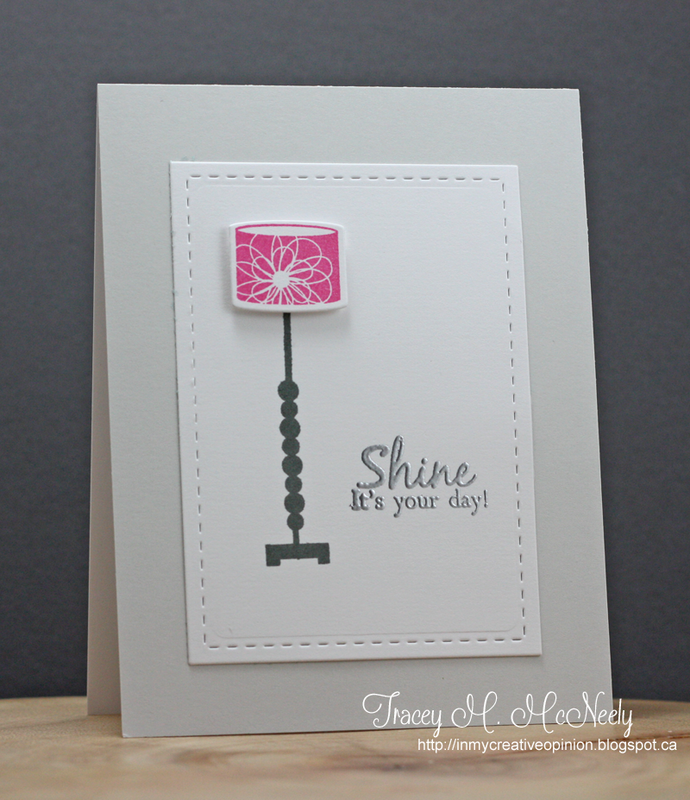 Love the embossed sentiment and that Lamp is so awesome.. great card..
Love this card! The pink lampshade stands out so beautifully against this amazing CAS background. LOVE the pop of bright pink from the cute lampshade!! This is fabulous my friend! 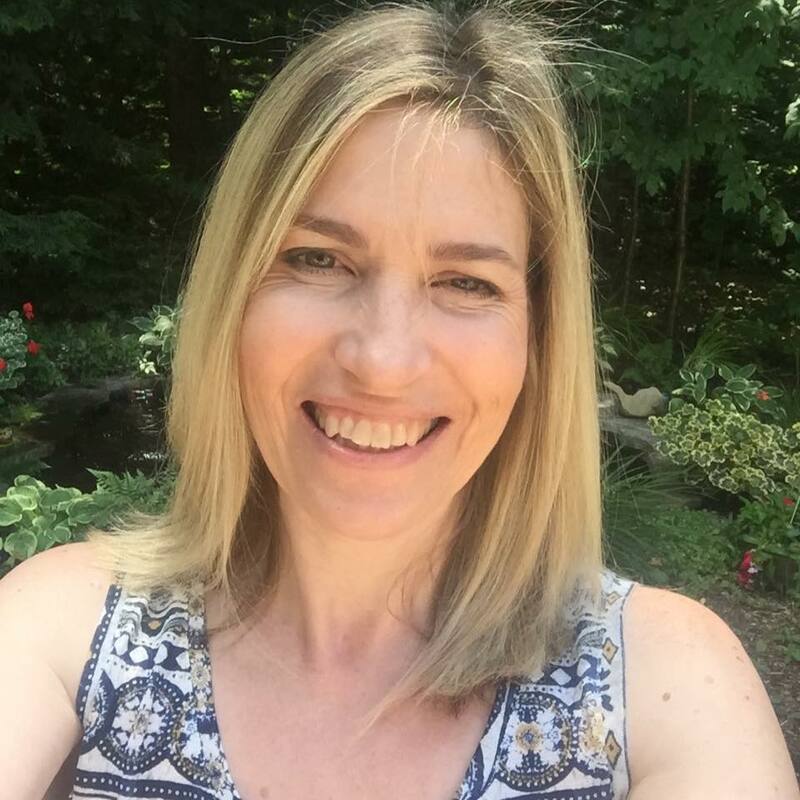 One has to HAVE a style to stick to it... but, no matter which you choose, Tracey, you definitely show your own personal, wonderful style! Love that lamp!! The color really pops! Seriously beautiful! LOVE that lamp! 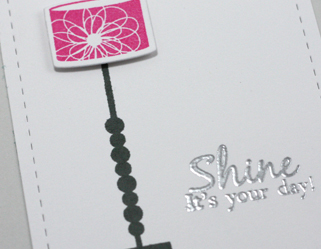 What a great stamp set, and your silver embossing is a yummy touch! I join too the Card concept challenge would be sooo happy if you like to visiting my card..
WOW! I love your card, Tracey! That lamp is so cool, I love the silver embossing, and the white on gray is fantastic! That is such a cute stamp and I love that you added the graphic to the shade. I'm just always in awe how you can make the simplest look, perfection! I have that stamp set, and never would have thought to make it 'shine' like you did! So glad for your inspirations! Tracey, your card certainly Shines! What a great contemporary and lamp. Such a very stylish card. Love that stylish room as the inspiration, and you have done it proud with your beautiful lamp and card. I'd say that this card is classic Tracey style. The lamp is perfect! Love the pink! Clean, crisp and fabulous! What colour did you use for the card base? Love your lamp! Yet again, your signature style of 'simple, elevated to stunning' is showcased! So pretty! Perfection!!! Love the lamp and the touch of silver. Beautiful card! !